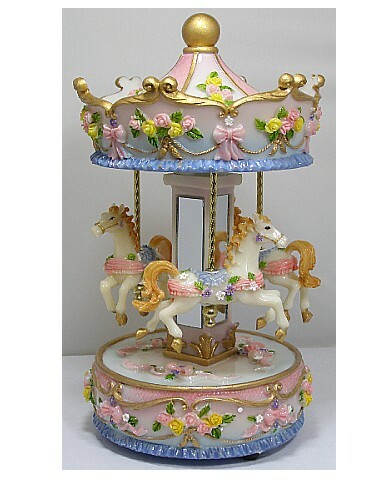 This musical miniature carousel actually rotates slowly as it plays. 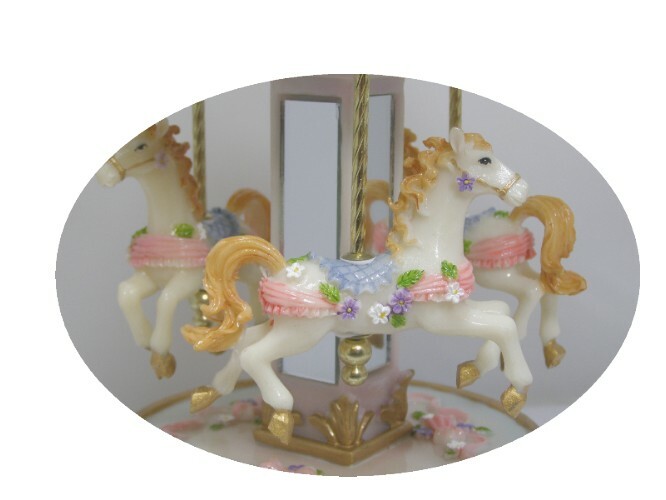 The carousel has 3 miniature horses and is painted in pretty pastel shades & gold. 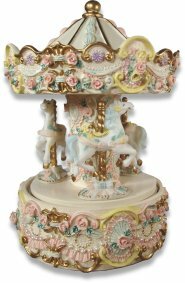 The clockwork musical movement is fitted into the top and you wind it up by turning it backwards to see it rotate. 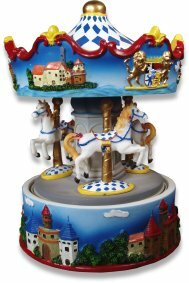 IMPORTANT NOTICE - Our range of carousels are mostly made from a cast resin, The carousels are wonderful gifts for children, but they are not toys. 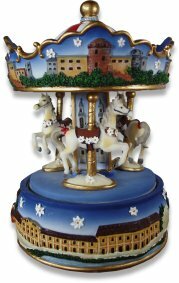 They are a collectable figurine, so children should be supervised if handling them. They are not suitable for very young children or babies due to small parts.